The changes in insulation levels and air tightness in new buildings has dramatically increased the requirement for cooling. With continuing changes to Part L of the Buildings Regulations and the requirements of the energy performance of Building Directive there is a need to utilise renewable energy and reduce the carbon dioxide emissions in modern buildings. GS UFH systems can assist this process in many areas. There is increasing interest in these environmentally friendly systems due to the potential for low running costs, reduction in use of fossil fuels, and the reduction in CO2 emissions. 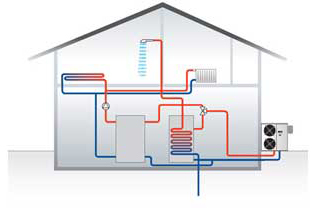 GS UFH Systems offers energy management for renewable application when it comes to heating. Be it homes, offices, schools or any industrial site, we offer solutions which are innovating. Count on our technical services and expertise made visible in outstanding worldwide projects.